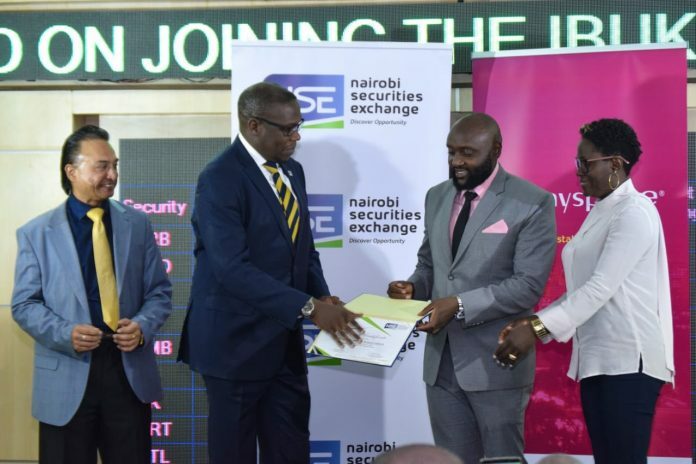 Myspace Properties which is owned by Mwenda Thuranira has been inducted intothe Nairobi Securities Exchange (NSE) Ibuka Programme. The NSE Ibuka programme is an incubation and acceleration program that was designed by the NSE in 2016 for aspirational companies with growth prospects. “I am delighted that we have admitted the first property company onto the Ibuka Program. This is a good opportunity for the organisation, and it is yet to open more doors placing Myspace properties limited in a good place,” Geoffrey Odundo, NSE CEO said. Mr. Odundo further said that he expected the programme to boost the growth and accelerate the expansion of Myspace Properties into a regional real estate company in Kenya enabling it to take advantage of the growing property market. This was echoed by Mr. Thuranira who said that the Ibuka program would boost business to its next phase of growth. Apart from Myspace Properties, the NSE has previously included APT Commodities Limited, Globetrotter Agency Limited, and Moad Capital Limited into the programme. The programme seeks to enable select Kenyan companies to fast-track their developments by accessing financial advisors and consultants to help them structure their businesses, enhance visibility and get exposure among local and international investors.